Golf Club Lengths: Is There an Industry Standard? Is There an Industry-Wide Standard Length for Golf Clubs? Is one company's driver going to be the same length (from the end of the shaft to the bottom of the clubhead) as another company's? What about 3-irons or 5-hybrids or pitching wedges or any other club? 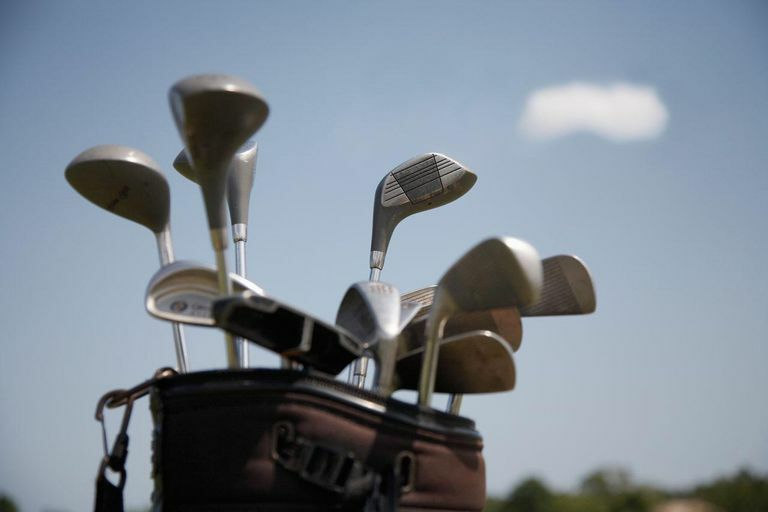 Are the lengths of golf clubs standardized? "There are no industry-wide standards for any golf club specification in the golf equipment industry," notes Tom Wishon, a member of that industry as the founder of Tom Wishon Golf Technology. "Each clubmaking company is free to make clubs to whatever 'standard specifications' they deem appropriate. This is because there is no entity within the golf equipment industry that has ever been empowered or given the authority from the clubmaking companies to establish any type of standard specifications for golf clubs." While it's true that industry-wide standards do not exist for club lengths, most companies wind up with clubs that are very close to each other in length. "Most drivers for men made by companies who sell their clubs through pro shops and retail golf stores are usually 45 inches or 45.5 inches long," Wishon says. "Most women's drivers are 44 or 44.5 inches. "Most men's irons are made to be pretty close to the same length, starting with the 3-iron at 39 or 39.5 inches, and all other irons decreasing in length by a half-inch per iron down through the set. Again, women's irons are usually one inch shorter per club than men's." There is some variation between manufacturers, however, in the length of fairway woods, and of the length change from one fairway wood to the next. "Some companies make their men's 3-woods to be 44 inches, some 43.5, and some 43 (women's fairway woods are usually one inch shorter than the corresponding men's wood)," Wishon says. "In addition, some companies make their fairway woods to change in length by a half-inch between the 3-, 5- and 7-woods, while others choose an increment of three-quarters of an inch and still others prefer an incremental change of 1 inch." Something important to keep in mind is that golf club companies change their own standards for club length over time. In general, this means that golf club shafts get longer. In the late 1970s to early 1980s, Wishon points out, the most common length for a men's driver was 43 inches. For 3-woods it was 42 inches and for 5-woods 41 inches (with women's woods one inch shorter in each case). Wishon adds: "Back then, the typical 3-iron for men was 38.5 inches with all other irons decreasing in half-inch increments to the wedges." Why Have Clubs Gotten Longer Over Time? This question is pretty simple to answer: Golf club lengths have increased because golfers want to be longer - meaning more distance. And longer shafts are associated with increased distance in the minds of many golfers. "Why have golf clubs gotten longer over time? Because golf companies believe it helps them sell clubs. Companies have believed that the longer the length of the club, the greater the distance the club can be hit. While this is true with the short irons, as the clubs get longer and lower in loft it is a fact that the percentage of off-center hits increases, as well. "Custom clubmakers will determine the proper club lengths for golfers by first starting with a measurement of the distance from the golfer's wrist to the floor. They compare this measurement to a chart which lists club lengths for each wrist-to-floor dimension. Because golfers vary tremendously in height and arm length - the two important factors for determining a 'comfortable length' for the golfer - there is no way that all golfers can play their best with the typical standard lengths offered in standard-made clubs which are simply bought off-the-rack in pro shops or golf retail stores.